Agrimonia rostellata flowers. species.wikimedia.org (Accessed 7/2017). Agrimonia rostellata is a perennial herb; roots sometimes tuberous, stems to 1 m, branches slender, mostly hairless; stipules leaf-like, narrow, 1 cm wide or less, toothed. 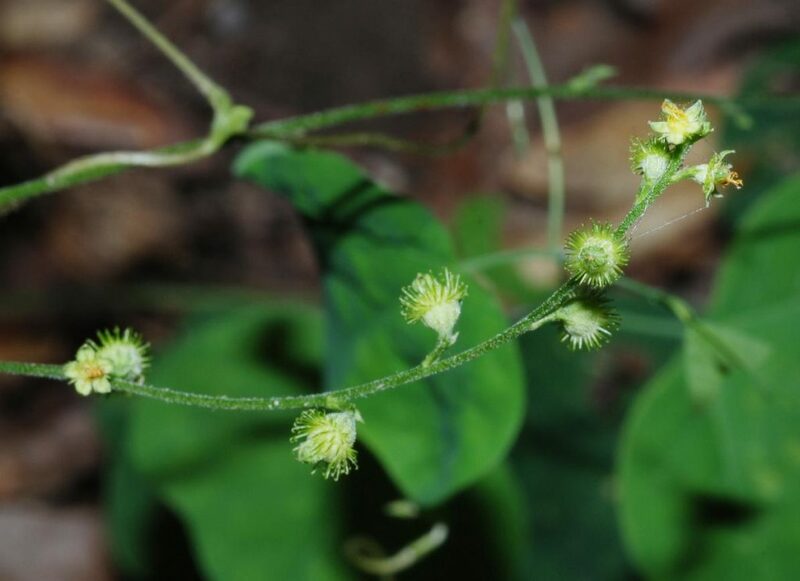 Leaves alternate, pinnately compound, major leaflets 3-9, narrow, widest above middle, coarsely, bluntly toothed, glandular below (sprinkled with tiny dots), interspersed with 1-3 very small leaflets. 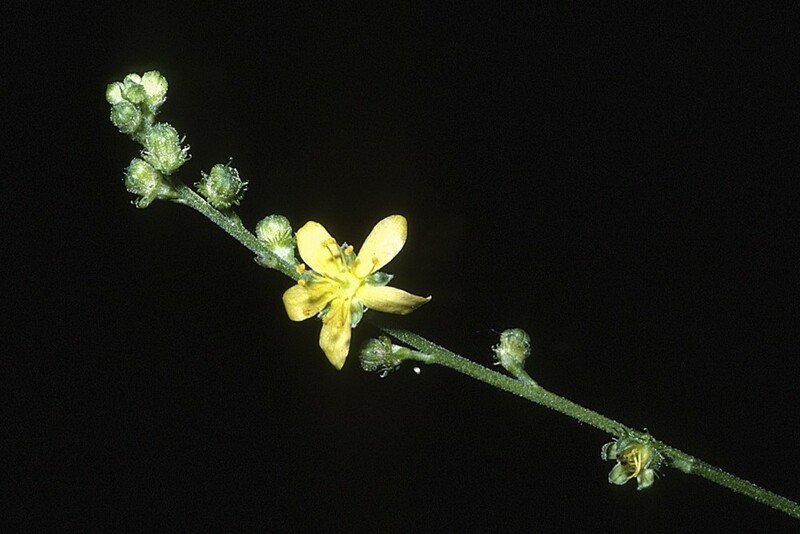 Flowers yellow, radially symmetrical, 0.2 cm, base of flower (calyx tube) enlarged, rimmed above with hooked bristles but not hairy; inflorescence stalk glandular, unbranched; blooms July-Sept.
Agrimonia rostellata. fruit. 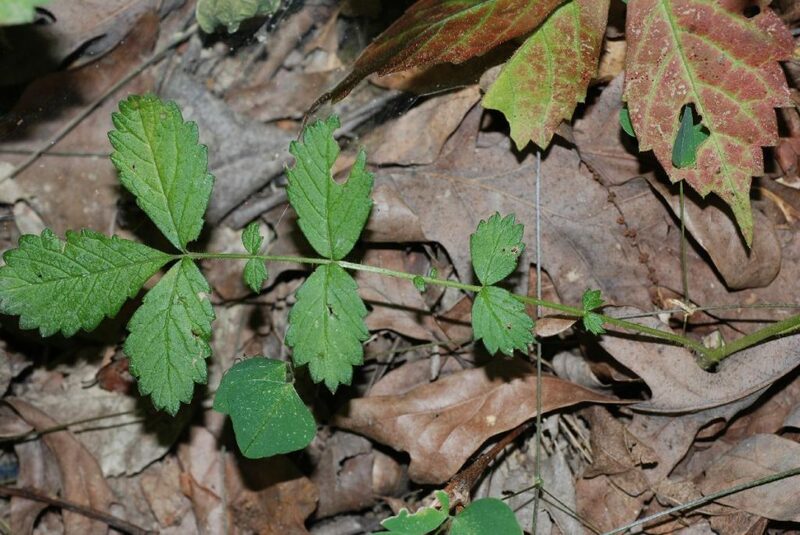 http///src.sfasu.edu/~jvk/PineywoodsPlants/Eudicotyledons/Rosaceae/lrAgrimonia_rostellata4 (Accessed 7/2017). Fruit dry, about 0.4 cm long, hooked bristles stiff, tip beaked.